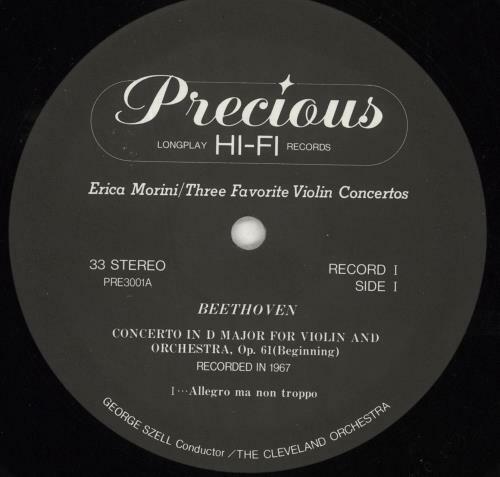 ERICA MORINI Three Favorite Violin Concertos (Limited Edition 80s Japanese-only double LP on Precious Records, gathering the most impressive & rarest recordings of the violin virtuoso, recorded in mono & stereo in 1964, 1967 & 1969 with The Cleveland Orchestra, as conducted by George Szell. 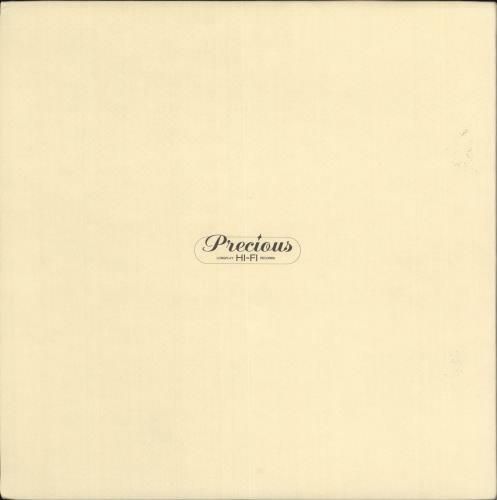 Comes housed in a unique & fully textured gatefold picture sleeve. The cover appears Near Mint with only the slightest corner bump & the vinyl discs are clean & in Excellent condition with minimal play. Strictly limited to 300 copies only PRE-3001). 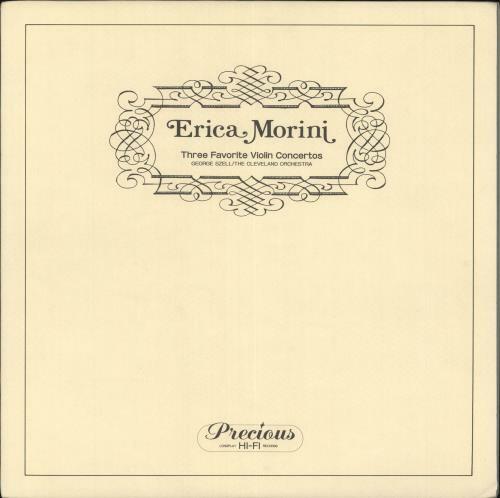 or visit our Erica Morini image gallery.